Free Shipping Included! 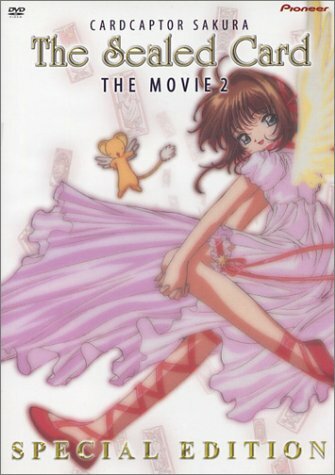 Cardcaptor Sakura - The Movie 2 - The Sealed Card (Special Edition) by Geneon [Pioneer] at Chocolate Movie. Hurry! Limited time offer. Offer valid only while supplies last. The second CardCaptor Sakura movie. Syaoran visits Japan for the summer, and Sakura tries to find a moment to confess her feelings for him. The second CardCaptor Sakura movie. Syaoran visits Japan for the summer, and Sakura tries to find a moment to confess her feelings for him. Meanwhile, Clow's final card, the Sealed Card, wreaks havoc upon the city, and it's up to Sakura to capture this final card.